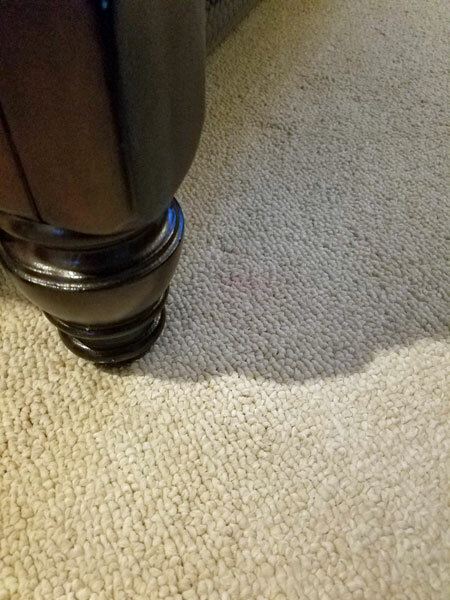 Carpet stains can be difficult for carpet cleaners but Chem-Dry of Tampa FL has the right solution for your tough carpet stains. Chem-Dry's motto of "If we can't get it out no one can." Whether it's a mystery stain or wine that was accidentally dropped last night we have you covered. 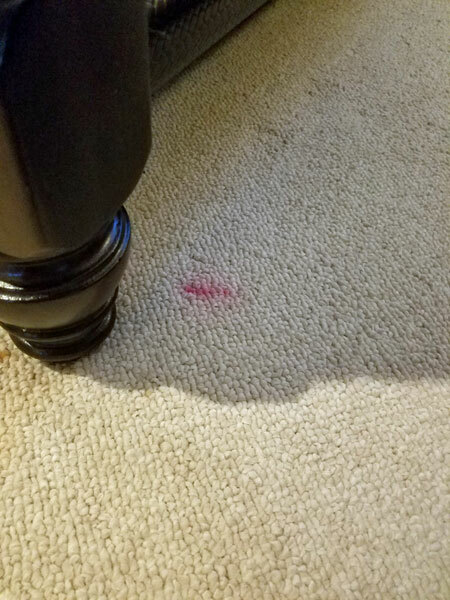 In the before and after pictures above a somewhat mystery stain of possible make up was treated with our patented stain out treatment that removes stains at the molecular level. It actually changes red dyes to a UV color that can no longer be seen by the naked eye. Its an amazing process that works on the toughest stains. Not all carpet cleaners in Tampa FL are the same. Some are far superior to others. If you think that your carpet is beyond saving consider the modest investment of of time to have a professional carpet cleaner come to your home and tell you what they can do before replacing your carpet. Chem-Dry of Tampa FL will come out and give you a free carpet inspection and leave you with a cleaning quote to make your carpet right.